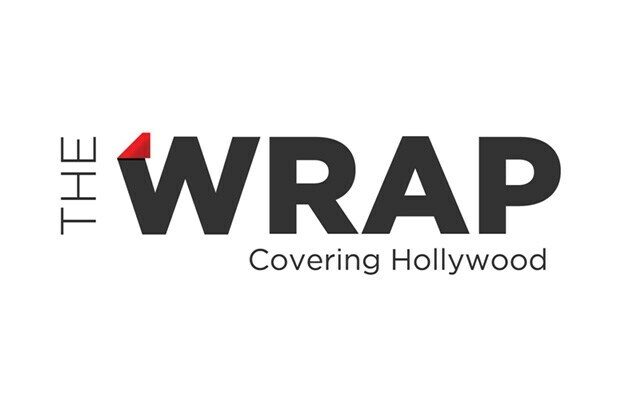 TheWrap Investigates: Tax returns and an audit contradict the official reasons for shuttering the Motion Picture and Television Foundation’s hospital and long-term care facility. Part One. When the Motion Picture & Television Fund announced last month that it was shuttering the long-term care facility and hospital at its Woodland Hills retirement home – effectively ending the comprehensive care it once provided to aging actors, studio employees and film technicians — it painted a dire picture of itself as a charitable organization on the brink of financial ruin. The foundation established by Mary Pickford and Charlie Chaplin 87 years ago said it was losing $10 million a year because of ever-diminishing Medicaid and Medi-Cal reimbursements to its elderly residents, and risked depleting its endowment completely within a few years if it did not act immediately to stanch the flow of red ink. There is, however, a major problem with that explanation: it does not appear to be entirely true. The numbers being bandied about by Jeffrey Katzenberg, the MPTF’s chief fundraiser, and other officials do not square with the organization’s own official accounting numbers and tax returns. Those documents – the most recent filed with the Internal Revenue Service in November 2008 – show no $10 million losses, or any losses at all. The fund’s assets – described in one press release as “draining… at an alarming rate” – actually increased in 2006 and 2007, the last year for which figures are available. And while it is true that Medi-Cal reimbursements have indeed declined since last summer for hospital care (though not for other medical and nursing-home services), the fund’s accounts show a net increase in government reimbursements for both 2006 and 2007. Officials from the United Healthcare Workers union, which concluded a nine-month long contract negotiation with the MPTF last April, said they researched the fund’s finances extensively and found no cause for concern. The MPTF opened a new state-of-the-art gym and fitness facility, the Saban Center for Health and Wellness, in July 2007. The multi-million dollar project seems inconsistent with an organization in financial trouble. The closures, announced without warning last month, have provoked widespread consternation inside the home itself, as well as in the entertainment community at large. Many in Hollywood have privately expressed outrage and embarrassment at the impression that the entertainment industry cannot take care of its own. Jeffrey Katzenberg, the DreamWorks Animation Chairman who heads an annual fundraiser at this time of year for the MPTF Foundation, has felt it necessary to offer public explanations, though he has done so only on Nikki Finke’s Deadline Hollywood blog, where he refused to be quoted. Some of the 100-plus frail residents threatened with removal to other facilities before the end of 2009, many of them in their 80s and 90s, feel “tormented” and are reluctant to eat, according to a letter sent by several MPTF families to the home’s chief executive, David Tillman. A tour last week of the long-term care facility revealed an impeccably kept home, where even the most infirm residents — who spend the day in wheelchairs or loungers — have their hair done every morning and have make-up applied to their faces if they or their families request it. The anxiety, however, was also immediately obvious. The closures were the number one topic of conversation among nursing staff and those residents lucid enough to understand what is happening. One woman took to her bed as soon as she heard she was being evicted and refused to get up again for a week, according to nursing staff. Another, who had been in apparently good health, died very soon after getting the news. In all, at least half a dozen residents have died since the closures were announced – a far higher death rate than usual. “Some have stated that they do not want to live if they have to leave their home here; they prefer to die right now without going on to some other place,” the letter sent to David Tillman said. Tillman declined to be interviewed for this article. Residents and their families say they are in touch with a heavy-hitting Los Angeles law firm and are looking into a lawsuit to force the MPTF to keep at least the long-term care facility, if not also the hospital, open. Richard Stellar, a web marketing designer whose 91-year-old mother Mary is one of the threatened residents, has been involved in the protest efforts and says his only wish is for the home to do the right thing. The MPTF’s explanations for the closures at its long-term care facility and hospital at its Woodland Hills retirement home – and the lay-off of one-third of its total staff — have raised eyebrows, and questions about the true motivation, since the first news release on January 14. The accuracy of the release was further called into question when Katzenberg summarily fired Allan Mayer, the crisis management consultant who wrote it. However, when Katzenberg spoke to Finke, he painted, if anything, an even gloomier picture. Since then, Tillman and other MPTF officials have pushed another line of argument. It was impossible to make the acute-care hospital cost-effective, they said, because it had no more than five or ten patients at any one time, but needed to maintain a full staff to comply with state licensing laws. They thought about closing the hospital and keeping the long-term care facility open, but without the hospital the home would fall into a different funding category and Medi-Cal reimbursement rate for home residents would go down to an untenable level. The explanation has not passed muster with many nursing-care experts and residents’ families. Hite, the California Association of Health Facilities expert, said it beggared belief that a home could lose $10 million a year when its Medi-Cal reimbursements were well over the state average — $320 per patient per day, compared with a state average of $223 per day, according to figures compiled by the California HealthCare Foundation. The MPTF receives about 80 per cent of its patient care funding from Medi-Cal. Hite also explained that reimbursement rates for reputable homes have actually increased since 2006 under a new payment regime negotiated with Governor Arnold Schwarzenegger. The new policy rewards institutions that invest in improved care and punish those that proverbially “water down the orange juice” in an attempt to keep more government money for themselves. “Most nursing homes are doing quite well, if they are well run,” Hite said. That analysis appears to be borne out by the MPTF’s own tax returns, which show an increase in “program service revenue including government fees” from $65.4 million in 2006 to $74 million in 2007. Medi-Cal payments are now under threat because of California’s budget crisis, but most of the threatened cuts have yet to be enacted. A successful lawsuit filed against the state last summer prevented a 10 per cent cut in Medi-Cal payments from going into effect in all areas of care except for hospitals. Although there is now talk of new cuts for 2009, a budget deal is still pending in Sacramento. The accounts and tax returns suggest the MPTF wasn’t in fact in trouble at all – at least not until very recently. Accounts prepared by PriceWaterhouseCoopers last May and posted on the MPTF’s own website show that in 2007, revenues exceeded expenditures by $16.7 million. The fund’s net assets, meanwhile, grew over the year from $154 million to $168.8 million. Figures filed with the IRS in November are slightly different but follow the same basic pattern. The MPTF’s Form 990 return – a publicly available document — shows an excess of $10.6 million in revenue over expenditure for 2007. The fund’s assets are shown to have grown from $158.6 million at the beginning of the year to $171.7 million at the end. These figures do not, of course, tell us what happened to the MPTF during the Wall Street meltdown in the last four months of 2008. The Mayer-authored press release said the fund was now worth less than $130 million. Katzenberg told Finke much the same – that the fund had lost 30 per cent of its value. Many people have asked the MPTF if it did not make some catastrophic investment now threatening its existence. Katzenberg personally lost millions to the fraudulent investment advisor Bernard Madoff, but the fund itself has denied any involvement with Madoff. It has given nothing else away about its investments. Quite what is behind the abrupt closure announcement remains a mystery. In the absence of a widely accepted explanation, rumors are naturally abounding — everything from involvement in a Madoff-type Ponzi scheme to a Chinatown-style secret land deal. All of this is, however, pure guesswork. MPTF executives have told residents that they are planning to replace the hospital and long-term care facility with an assisted living condo complex, although they have made no public announcement. The financial details of such a building project also remain unknown.